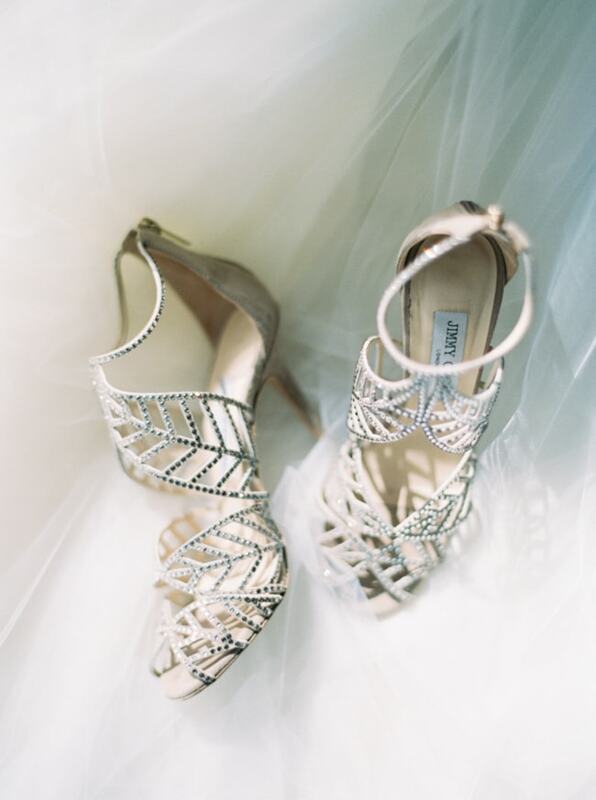 Wedding shoes can be as unique as you want them to be. From eccentric to elegant, your choice of shoe can reflect your own personal style. Throw the rules out the window and slip on a pair that calls your name. These ultra-modern booties feature metallic beadwork around the heels, toes, and across the sheer fabric. They are perfect for the bold bride who appreciates a little edge. For the ballerina bride, you can incorporate your love of dance into your shoe choice by wearing a pair of classic white pointe shoes. They’re perfect for walking down the aisle and, quite literally, dancing the night away. Vintage-inspired white booties are perfect for brides who envision a certain touch of antiquity. The fabric and heel make them feminine while the lace up the front is a unique twist. High-fashion heels always make for a glamorous shoe statement. These silver-encrusted Jimmy Choos are sophistication at its best. For the bride who loves to sparkle, these ivory heels with silver beads are perfect. The intricate crisscrossed detail across the front is exceptional. Flats are always a great option for comfort but that doesn’t mean they have to be boring. These gold and gray heels feature a unique fabric style that is both modern and timeless. A beach or boho bride would look radiant in a pair of embellished sandals. With a fabric strap around the back and lots of sparkle, these shoes won’t fade away into the dress or the sand. If your shoe game has to be loud and proud but still keep with tradition, these white stilettos are a great choice. They feature a large square embellishment on the front for full, in-your-face sparkle while still keeping to a classic bridal look. 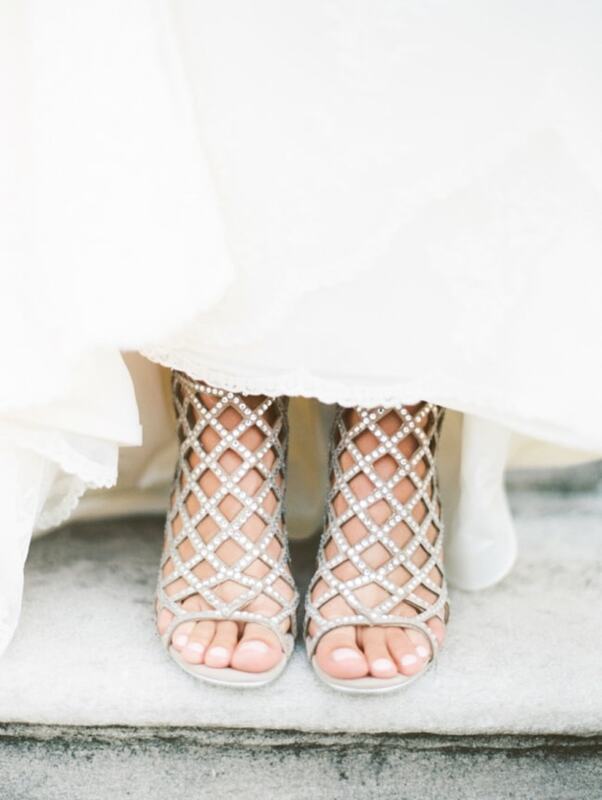 Maybe they’re bridal, maybe they’re formal, or maybe they’re made for something entirely different but these days, wedding shoes can be as unique as the bride who wears them.